René was an excellent tour guide. Very knowledgeable. Extremely pleasant and very accommodating. It was a pleasure to spend the day with him! The Tulip gardens were spectacular.... certainly the best time to be there. The convenience of being in a private vehicle rather than a tour bus certainly enhanced our day. We had a lovely tour of Amsterdam with René yesterday. We were on a stopover for one night on our way to South Africa and René picked us up from our airport hotel which made things so easy for us. He took us to see the outskirts of Amsterdam first and we saw some amazing houses and traditional windmills. We then went in to the city and the tour included a canal trip too. We had our 12 year old daughter with us and René really took the time to explain all the local history to her. Thank you René. TOUR GUIDE RESPONSE: Thanks Richard, tell your friends ! We toured Kinderdijk and Delft with Rene (it was our choice to limit the itinerary). He picked us up at the Cruise Ship terminal in Amsterdam, and is an excellent driver in heavy weekend traffic. He handled all of the details (tickets, lunch) with ease. He's relaxed, easy to be with, and is exceptionally knowledgable. Delft is such a beautiful town, and as a resident, he knows everything. Rene has a great way of explaining what you're seeing, always with good humor and no rush. Highly recommended. Rene was an incredible tour guide for my grandparents and I. He took us from Amsterdam to Bolsward and another day to Delft, stopping all along the way at points of interest for us. My great grandfather, Cornelis Andringa, was a Frieslander, so the amount of research Rene did before the tour on our behalf really made the trip special for us. He found the port that my grandfathers father left from to sail to Ellis Island, something we could never have done without him. Rene was an incredible tour guide for my grandparents and I. My great grandfather, Cornelis Andringa, was a Frieslander, so the amount of research Rene did before the tour on our behalf really made the trip special for us. He found the port that my grandfathers father left from to sail to Ellis Island, something we could never have done without him. He also found our family's crest dating back from the 1800's, another irreplaceable memory. He had a wealth of knowledge on any topic we were curious about. We booked this tour with René because of the high ratings and positive comments we read on-line. We were not disappointed! The two hours we spent with him on the drive to and from Amsterdam to Otterlo—to visit the marvelous Kröller Müller museum and sculpture garden— were delightful. His English is perfect, and he impressed us with his wide-ranging knowledge of not only art but of the world in general; and he willingly shared his own experiences as a world traveler. We cannot recommend him highly enough! TOUR GUIDE RESPONSE: Thanks Stephen, tell your friends ! René was great! Very knowledgeable. Different type of tour with a lot of "off the beaten path" moments. Very easy to work with. One of our favorite days. Highly recommend! TOUR GUIDE RESPONSE: Thanks Antonia, tell your friends! We were a group of 6 who had the pleasure of spending an entire day with Rene as he guided us to and through some of the Netherlands most historical, famous, architecturally beautiful plazas, buildings, cities, and cultural sites. He is a consummate professional, with an amazing depth of knowledge, coupled with a personal style that made each of us feel at ease and most welcomed to ask questions and make the most of Rene's presence. TOUR GUIDE RESPONSE: Thank you Maryann, we had a nice day together, tell your friends! If you are looking for a guide in the Amsterdam, Delft or The Hague, Rene is excellent. This one to outside Amsterdam to the windmills, fishing villages and some of the other most quaint little villages you have ever seen. And he knew the complete history of all them. My husband and I found him professional, responsive and very easy to work with. And most of all just pleasant to be with. Highly recommend him!! TOUR GUIDE RESPONSE: Thanks Anne, come again to see the tulips in the spring! Rene was amazing. we worked together by email to set the tour up and he was responsive. He understood exactly what we wanted to do and planned it accordingly. He was on time, professional and incrediblely knowledgeable. We had wandered around The Hague the evening before when we got in, but he was great in that he explained what we had seen. Then on to Delft which is an amazing place. So important to visit and interesting. TOUR GUIDE RESPONSE: Thanks Anne, tell your travel agent! TOUR GUIDE RESPONSE: Thanks Bob, tell your friends ! Can't complain about what we saw on the tour & he was a good driver however he wasn't engaging as a guide & just seemed to be going through the motions as if he was bored. Rene was terrific. He took us to wonderful towns and shared their history with us. His car was very clean and comfortable. So very glad we didn't have to navigate Amsterdam's skinny roadways and cyclists ourselves. Once you choose Rene, you don't have to make any more decisions - he'll take good care of you. TOUR GUIDE RESPONSE: Thanks Suzanne, tell your friends! Rene was prompt, fun, and very accomadatlng to are wishes. It was a stress free and great way to see Amsterdam on our layover. His car was spacious for 4 People and our carry on luggage. Would strongly reccomend Rene and his layover tour to Amsterdam. TOUR GUIDE RESPONSE: Thanks Peter, tell your friends! TOUR GUIDE RESPONSE: Thanks Paul, tell your friends!! René enhanced our time in Amsterdam. There were 4 of us and he gave us a tour of the city and environs with historcal, cultural, and architectural perspectives. Then off to the country side for an unbeatable tour of polders, small towns, and most importantly the windmills. We would highly recommend Rene to any traveler. TOUR GUIDE RESPONSE: Thanks Wendy, tell your friends!! We have hired Rene twice in the last several years. He is a great person to spend the day with. He took us to and through the countryside and exposed us to sights and knowledge that were truly wonderful. TOUR GUIDE RESPONSE: Thanks Jeffry, we had a great day, I hope to see you again sometime. A great tour by Rene. He was very knowledgeable, relaxed and calm through terrible traffic. It was a full day and we saw many interesting sights. I would highly recommend this tour to anyone who wanted to see so much in just one long day! TOUR GUIDE RESPONSE: Thanks Marcia, tell your friends ! We want to thank our tour guide Renè. He was great and he needs a top rating. We will use ToursByLocals in the future. We could understand Renè when he talked not like a lot of tour guides that don't speak very good English. There was four in our group and we all give him an A+ for his knowledge and personality. TOUR GUIDE RESPONSE: Thanks Joyce, tell your friends ! Rene did a great job with our day tour. We spent time in Delft and Haarlem where he walked us around and showed us highlights. He was prompt for hotel pick-up. TOUR GUIDE RESPONSE: Thanks Donna, tell your friends! Rene is an excellent and experienced guide. He's also an interesting guy who has led and interesting life. We would recommend him highly. TOUR GUIDE RESPONSE: Thanks David, tell your friends ! Rene was very pleasent and positive. However, this tour really amounts to a very expensive taxi ride to Keukenhof. TOUR GUIDE RESPONSE: The price of the tour is just a bit more than a taxiride from/to Amsterdam + entry fees for the Keukenhof flowerpark. Now you have got all the background information, a tour trough the bulbfields and I answered all your questions. Rene was knowledgeable, friendly and accommodating. We thoroughly enjoyed this special experience. TOUR GUIDE RESPONSE: Thanks Carin, tell your friends! Rene was a pure delight today. He was exactly on time. He was polite and courteous with me and my daughter. We toured the countryside including windmills and honestly enjoyed the slow pace of the small cities. The architecture he pointed out and the water engineering was fascinating and left us wanting to know more and to visit again. The small villages are charming. Rene is very in tune with our needs like when to stop for coffee, when to eat, and when to get going. He's a delightful guide. Rene is very calm and educated and knows the landscape of the museums. He highlighted the pieces we asked to see and thoughtfully guided us thru the museums. It was the perfect pace for us. His knowledge of history was well matched to his knowledge of art so was very informative. He was a very good guide. If you want a professional guide ask for Renee. We had a excellent informative guide of Amsterdam. TOUR GUIDE RESPONSE: Thanks Joe, tell your friends ! Rene was quite knowledgeable. He offered guidance, suggestions, and historical insights. I highly recommend Rene. TOUR GUIDE RESPONSE: Thanks Edgar, tell your friends ! Rene is so knowledgeable! Well worth it, so happy we were able to tour with him! Would recommend it to anyone. TOUR GUIDE RESPONSE: Thanks Joan, tell your friends ! A knowledgeable guide who adapts tour to your requests. Great info on history and medicine in the 18th century but also great at picking lunch spots. I'd do another tour with Rene...oh, I just did...next time I'm in the neighborhood. TOUR GUIDE RESPONSE: Thanks Albert, come again some time. Very friendly and knowledgeable guide. Would highly recommend Rene. TOUR GUIDE RESPONSE: Thanks Jeffrey, tell your friends! TOUR GUIDE RESPONSE: Thanks Kevin, tell your friends ! (Two senior couples adding this tour to a cruise starting in Amsterdam). Could not have been more enjoyable. Rene is relaxed, a great conversationalist and managed to squeeze an amazing amount of info and detail in the short time we had with him Only disappointment was the how fast the hours passed! Loved the Hague and Delft. Would book with Rene again in a heartbeat! Rene was very knowledgable and shared his knowledge with us. Even though weather conditions were less than perfect, he made our tour very enjoyable. Several in our group expressed the tour was the highlight of the trip. Would highly recommend this tour. EXCELLENT TOUR, respectful, very smart, and interesting.. I can only tell you how good of a tour guide this incredible person is. A. STEIN. TOUR GUIDE RESPONSE: Thanks Abraham, I hope to see you again sometime, we had such a nice day! Once again, René provided an excellent tour to our group of 4. René is highly recommended by me for his professional knowledge and his desire to make your tour very personalized to your liking. Rene was prompt and showed us things we had not seen before. We had our granddaughters on their first trip to Europe and he gave them a great introduction. Do be firm about the about of walking you want to do. Due to parking problems in Amsterdam, things can be quite far away. Overall, he was a wonderful guide!! TOUR GUIDE RESPONSE: Thanks Sally, tell your friends ! TOUR GUIDE RESPONSE: Thanks Bill, tell your friends ! Excellent tour! Rene met us and our granddaughter at the cruise port and drove us to the Anne Frank House, and then the Van Gogh Museum and the Rijksmuseum. He provided interesting information along the way and tailored our tour to what would be interesting to a 12-year-old girl. She said it was the best day of our entire three week holiday in Europe. Thank you, Rene! TOUR GUIDE RESPONSE: Thank you Mary, tell your friends and come again sometime! This day-long tour of the history of flooding and impressive modern Dutch waterworks was outstanding in every way. Rene, our guide, was well informed and articulate about water - but also broader themes of Dutch culture, economics and history, making the most of what would otherwise have been a longish ride from Amsterdam to the far south. Strongly recommended, despite the high cost. Awesome tour! Got to see a lot of the countryside. Rene is a very accommodating guide. Due to the illness of spouses, Rene got stuck with 2 old ladies -one blind, and one with heart problems, and he adapted quickly and easily to the situation. He took us around the city, to a local street market, and to the Delft factory. I would highly recommend Rene as a tour guide. TOUR GUIDE RESPONSE: Thanks for your nice comment. Rene is an experienced guide with a good sense of history and place. He met us at our hotel near Central Station - and we drove to The Hague. The Panorama Mesdag was a happy surprise! After a short drive around Scheveningen (seaside), we went to Delft, a lovely town for wandering. Last stop was The Keukenhof Gardens -- not to be missed! All in all, a lovely day with a gentleman guide. We commend his services to you! TOUR GUIDE RESPONSE: Thanks Janet, tell your friends ! Extremely personal tour by Rene. Informative, fun and so relaxed. My husband enjoyed chatting with Rene about Delft, The Hague & Kuckenhoff. Tulips amazing. Would definitely recommend Tours by Locals and Rene specifically!!! TOUR GUIDE RESPONSE: Thanks Roberta, tell your friends !! Our riverboat cruise ended at a remote dock, quite a distance from the usual riverboat docking area. Rene was right there to meet us in a nice, clean Mercedes-Benz van. He provided an excellent city tour, dropping us for a 1 hour canal boat ride, and delivered us at the airport for our afternoon flight out of Amsterdam. All went smoothly for a pleasant experience. Recommended! TOUR GUIDE RESPONSE: Thanks Jim, tell your friends ! René was very accommodating to wanting to adjust starting time prior to arrival in Amsterdam. Very pleasant companion on trip and has a very nice vehicle. TOUR GUIDE RESPONSE: Thanks Leo, tell your friends ! Rene was wonderful! On-time for our meeting, and patient and kind with my 85+ year-old parents on our museum tour, recognizing their limitations and providing adequate rest and pauses for them to move through the museum, including time for coffee and a brief rest. TOUR GUIDE RESPONSE: Thanks Jean, tell your friends ! Experienced, cordial, knowledgeable, and responsive guide. Rene is definitely a 5-star experience. TOUR GUIDE RESPONSE: Thanks John, tell your friends !! René was great! Excellent tour! TOUR GUIDE RESPONSE: Thanks Duco, the communication was not easy with your parents' limited knowledge of English, but I tried to make the best of it. Tell your friends ! Rene arrived on time & we easily found him. Everything went very well. Rene was accommodating, allowing us to stop for pictures along the route. In Haarlem we walked through the city, went through a church museum (as requested) & saw the Ten Bloom House Museum, this was the main reason we wanted to go to Haarlem. We had time to stop for hot chocolate in a lovely local cafe. It was raining & Rene was an excellent driver. Fortunately, the sun came out once we arrived in Haarlem so we had an enjoyable tour. TOUR GUIDE RESPONSE: Thanks Bonnie, tell your friends ! Rene provided a well organized custom tour of the Windmills at Kinderdijk, Delta Works, Flood Museum at Ouwerkerk, and included a fun stop for lunch in the scenic town Zierikzee. He was very informative about the history and culture of the Netherlands, and provided excellent transportation. This was a full day and we got a lot out of it. TOUR GUIDE RESPONSE: Thanks Dan, come again and tell your friends ! Excellent English, Excellent vehicle, Prompt, Professional, not strong in art knowledge, could have done more homework in advance on the route to avoid some wrong turns. Excellent English. Excellent vehicle. Prompt and professional. TOUR GUIDE RESPONSE: Thanks Phillip, tell your friends ! TOUR GUIDE RESPONSE: Thanks Barry, come again ! Renee gave us a fantastic tour. He is very knowledgeable of the area and he was intuitive to the needs of our group of 6. I would highly recommend him. TOUR GUIDE RESPONSE: That was 8 months ago ! Great tour. Excellent guide. Very knowledgeable of the area. He went above and beyond to insure that our group of 6 had a good experience. TOUR GUIDE RESPONSE: Thanks Frank, tell your friends ! TOUR GUIDE RESPONSE: Thanks Don and Sharon, tell your friends ! Rene was great - knowledgeable and caring. He really did a good job of telling us many interesting things about the Netherlands without making it dry or academic, I learned sooo much and enjoyed myself meanwhile. My father is in a wheelchair and he was very accommodating of our needs. I highly recommend Rene for any tour he offers. TOUR GUIDE RESPONSE: Thanks Kristin, tell your friends ! We really enjoyed our tour with Rene - he did a great job finding the lesser known and less touristy places that were still very interesting and gave us a great overview of the area. Highly recommend. Rene did a wonderful job of explaining the Dutch masters in the Rijksmuseum - so much so that we learned to appreciate those works of art in a way that we had never thought possible. We thoroughly enjoyed our time with him and highly recommend any tour he offers. Rene was very accommodating towards my disabilities. Besides driving me around the city he was able to take me for a short walk to very interesting places and told me stories that I will find useful to know about the art, the politics and history of past times. I felt I had a successful short visit to Amsterdam. He took me to a canal tour boat that I also very much enjoyed. He even took me to a cafe for a cup of tea to show me the inside of a building. TOUR GUIDE RESPONSE: Thanks Ruth, tell your friends ! Throughly enjoyed all of Rene's stops on this tour. From the quaint, little towns to the working windmills. Truly a special experience! TOUR GUIDE RESPONSE: Thanks Debra, tell your friends ! Excellent tour guide: friendly, knowledgeable, helpful. Highly recommend him! TOUR GUIDE RESPONSE: Thanks Doris, tell your friends ! Rene was wonderful--from prompt, helpful correspondence to customize a cruise ship excursion for 6 of us to the fabulous Keukenhof Flowerpark AND the charming town of Delft (plus a private Delftware factory tour). He collected us right on time in his clean, comfortable van. He even added a panoramic tour of Rotterdam and a stop at THE best historic windmill site for photos with no other tourists! His excellent commentary and delightful sense of humor made the day perfect for us. I highly recommend Rene! TOUR GUIDE RESPONSE: Thanks Mary-Lou, tell your friends ! Rene prepared a beautiful countryside itinerary, which including walking through very charming villages, driving through tulip farms, and seeing how a windmill actually works. There was enough time to enjoy the different sights and places. All the sights were lovely. I think people just need to be wary of pick pockets in Volendaam. Unfortunately we did not realize this and ended up with an unfortunate experience. TOUR GUIDE RESPONSE: Thanks Joanna, tell your friends ! It was a pleasure to tour with Rene, he is so knowledgeable and we learned so much. We were able to see windmills, eat raw herring, shop and saw an amazing panoramic picture that words can not describe. Rene was able to accommodate four of us and a walker that my husband uses and took his time during the walking. We were able to go to places that a tour bus could never go and stop for pictures when ever we wanted to. We would highly recommend this tour. TOUR GUIDE RESPONSE: Thanks Lynette, tell your friends ! I travelled with my Nan, who has some mobility issues. Rene was very attentive and courteous. We is very knowledgable, and as a result of this, the tour was very interesting. Thank you very much for a memorable tour. TOUR GUIDE RESPONSE: Thanks Joanne, tell your friends ! Extremely well planned and executed tour. Saw everything we wanted to and arrived back at exactly 5pm. Rene was enthusiastic and very knowledgeable about both the places we saw and the history of The Netherlands. Overall a very enjoyable day. TOUR GUIDE RESPONSE: Thanks Deborah, tell your friends ! The guide was ready, waiting on us as planned and drove us around town in his nice, spacious car. He was most informative and jovial. We enjoyed seeing and experiencing many highlights of this lovely city. By far a great tour beats sitting around the airport during our long layover!! Rene took us to some of the most beautiful villages I've ever seen. It was a great tour! TOUR GUIDE RESPONSE: Thanks Rita, tell your friends ! Rene was very knowledgable and eager to please. His tour was well planned and executed. TOUR GUIDE RESPONSE: Thanks Jack, tell your friends ! Both the tour and Rene exceeded our expectations. Rene was gracious and professional. I was traveling with friends (six of us total) and his van was very clean and comfortable. Rene clearly knows his stuff!! He shared his knowledge of the country and the areas/towns we visited with ease. We enjoyed his easygoing manner and appreciated the personal touches he added to the tour. The church bells, the drawbridges, the canals, the windmills, ALL of it!! Thank you Rene!!! TOUR GUIDE RESPONSE: Thanks Kim, hope to see your friends from Colorado ! Rene was a very well informed and nice private guide. He made some modifications to the tour for us and was very fair with the extra charge for extending the tour. We highly recommend this tour and his services. His recommendation to dine at Brasserie Keyzer was an excellent recommendation. TOUR GUIDE RESPONSE: Thanks Aron, tell your friends ! Rene was an absolute delight - great knowledge and fun tour. Would recommend him to ANYONE! TOUR GUIDE RESPONSE: Thanks Karen, tell your friends ! We took this tour in the summer of 2015. It was a very enjoyable morning and we learned a lot about the reclamation of land in the Netherlands. This is a fairly laid back tour. If you want a relaxing tour with plenty of time for a cup of coffee or popping into shops, it will suit you well. If you are looking for something for something faster paced you may not be as satisfied. Rene's expérience with tourists and this specific tour was evident from the start. Clean, comfy transportation and punctual pick-up were just the first signs of a good tour. :) This tour of the countryside near Amsterdam was a perfect choice for us.. because we were raised in the middle of the USA in farm country. This was unique, interesting, informative. The visit to the mill and our tour with Peter were highlights. Lovely break at the old hotel's cafe. I highly recommend this tour. TOUR GUIDE RESPONSE: Thanks Sharon, tell your friends ! TOUR GUIDE RESPONSE: Thanks Marie, tell your friends ! A very knowledgeable guide who made us feel very comfortable during our trip. Rene answered our questions and would expand on the idea. We were so happy to get out of the city to visit many villages along our route. He was a great person to lead us. Thank you. TOUR GUIDE RESPONSE: Thanks Jan, tell your friends! 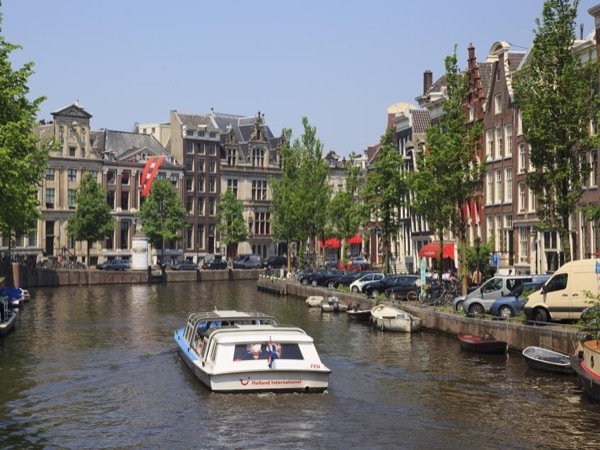 This is a great tour to do when transferring from Rotterdam (after a cruise) to Amsterdam. You might as well have a tour and see a little bit more of the country. If you have a certain area you want to see, just request it. This is a pretty flexible tour. Fantastic will use Tour by Locals again because of Rene. I was concerned since this was my first time using Tour by Locals. Now I will consider using them for all my travel tour needs. Great experience! Would recommend them to anyone looking for a local tour. TOURSBYLOCALS RESPONSE: Thank you of your comment, David. Our guides are special people, and we work closely with them to make sure you have an excellent travel experience every time. We look forward to welcoming you back! TOUR GUIDE RESPONSE: Thanks Poul, tell your friends ! Professional, personable and knowledgeable. Rene was a great guide and we enjoyed our trip to Kroller Muller and Het Loo palace immensely. TOUR GUIDE RESPONSE: Thanks Mary, tell your friends!